Music is a great and glorious gift from God! We believe that if there is to be great music in the world, there is no place more appropriate than in the church. The Music Ministry of Westminster Presbyterian Church is committed to musical excellence as our appropriate offering to God in worship. We believe the purpose of music in worship is to lead and assist the congregation in celebrating the liturgy for the day, proclaiming the Gospel, and experiencing the Word. Church Music should exalt God rather than human feelings. Music should be scripturally grounded and reflect the theme and particular Sunday or season of the church year. Church music must involve the people and creatively seek new means to effectively express the eternal revelations and mystery of God. 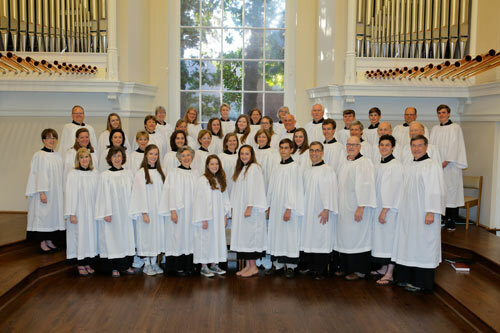 Through music one's faith and commitment to the church may grow. Music can be one of the best teachers of Christian education and theology for children, youth, and adults. Therefore, Westminster church and its leaders must continue to support, nurture, and develop our choirs for all ages and insist on music with artistic integrity that is theologically sound and liturgically appropriate. Please find links below for details about all of the ensembles that make up our Ministry of Music. There are choirs for all ages. Within those ensemble descriptions you will find the names and links for contact persons should you need more information on any group. Let us make a joyful noise unto God all you lands! Soli Deo Gloria! The Music Committee meets each month as scheduled, generally the 2nd Monday at 6:00 p.m. Music Committee Members: Sam Levine (Chair), Jennifer Barnes (Session Elder), Kelly Christie, Laurie Cooper, Carol Frist, Rita Hood, Karen Johnson, Jennie Renwick, David Wyckoff, and John Semingson, Director of Music Ministries.